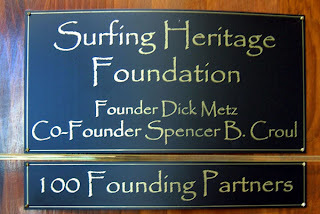 The Surfing Heritage received its first stage funding through its Founding Partners Program. These one hundred individuals helped to get us up and running and to establish our initial programs. Fully subscribed within six months, we will always honor those who shared our vision and stepped up when the risk was greatest, to facilitate the initial growth and development of SHF. 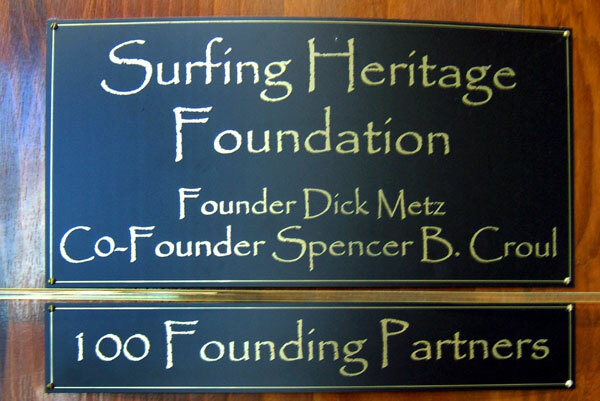 Their names appear on a special recognition surfboard located in the lobby of our San Clemente facility (see surfboard image below).